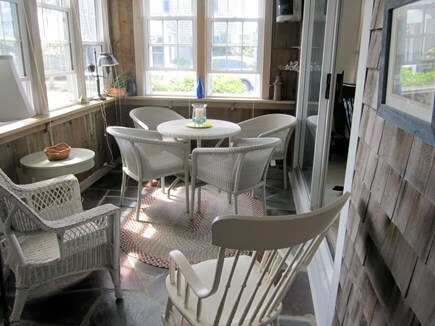 The Landing - great for coffee, cocktails or conversations! 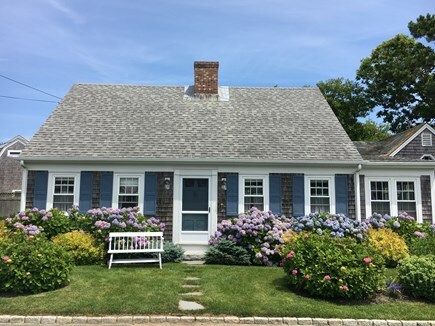 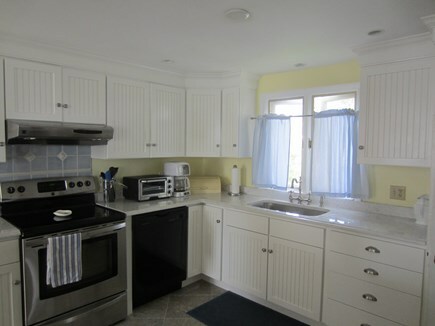 This sunny Cape house in a family-friendly neighborhood is 30 yards from a sandy Nantucket Sound Beach at the end of the street. 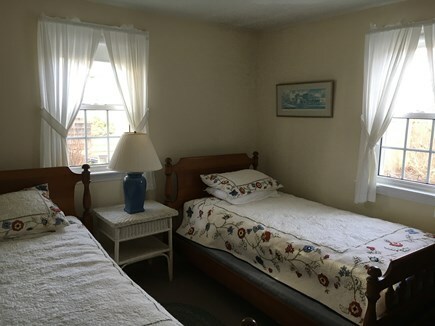 A short walk into historic Harwich Port Village for shops and restaurants. 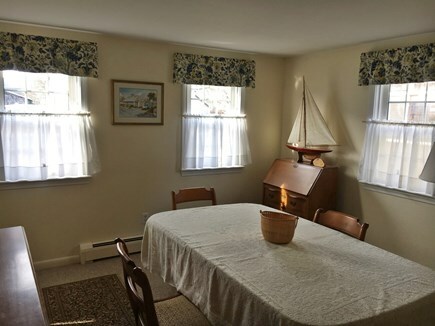 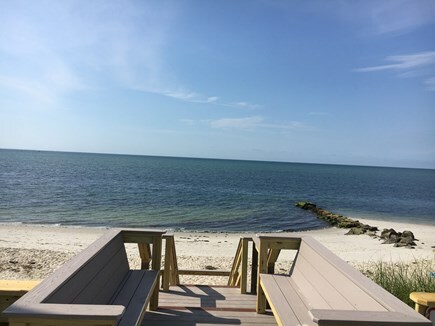 Ideal for families and reunion groups, the fully-outfitted home offers ocean views, a sun porch and/or benches at the street's end for morning coffee or sunset cocktails, and a large, grassy back yard. 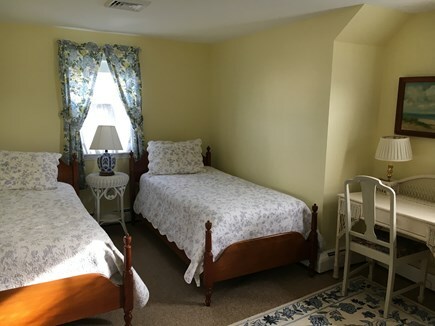 Upstairs, there are two bedrooms (with central air) and a full bath, and downstairs there is one bedroom, a full bath, living room, dining room, kitchen, and sun porch. 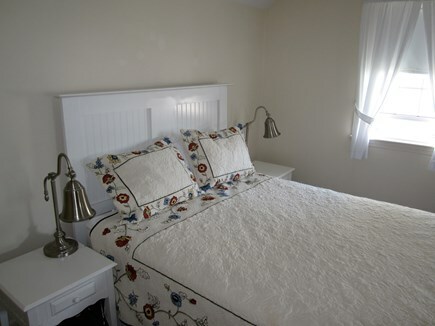 There is also a finished basement with washer/dryer, a sofa-bed, and a single bed. 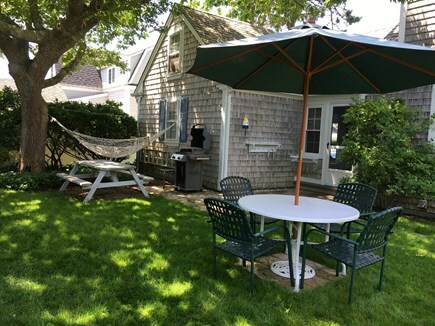 The back yard features a private outdoor shower, grill, hammock, Adirondack chairs, a dining table, & a croquet court. 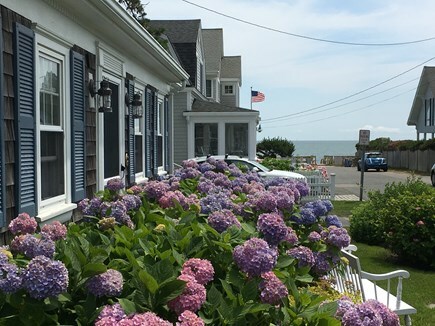 Shops, restaurants, tennis, kayaking, golfing, Cape Cod Baseball and the Cape Cod Bike Trail are all nearby. 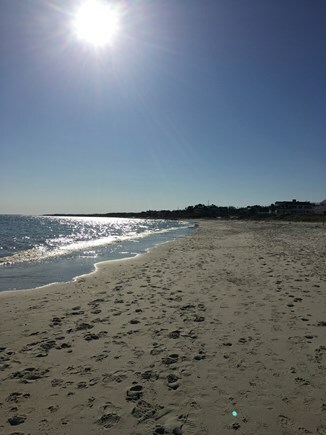 Enjoy day trips to Cape Cod National Seashore (all the way up to Provincetown! 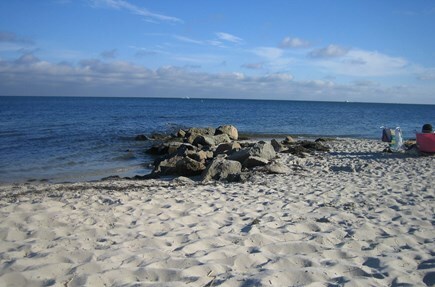 ), or catch the ferry to Nantucket or Martha's Vineyard. 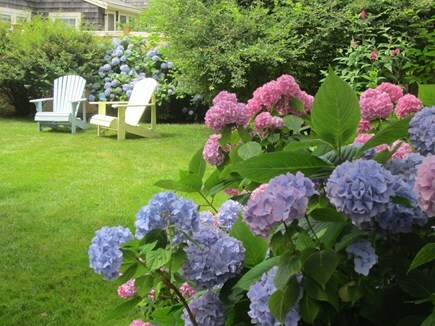 Enjoy the antique shops of historic Rte 6A or the galleries and restaurants of Wellfleet. 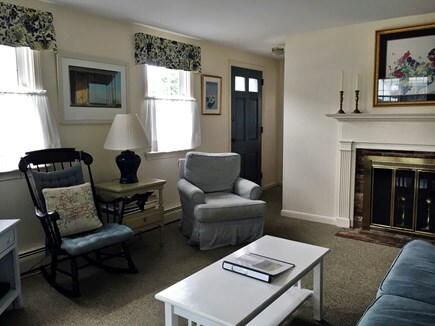 Take in shopping or dinner and a movie at the Orpheum Theater in nearby Chatham.